Would you be surprised if I described a book about medieval history as a page turner? Specifically a book about the fall of Constantinople to the Ottoman army. 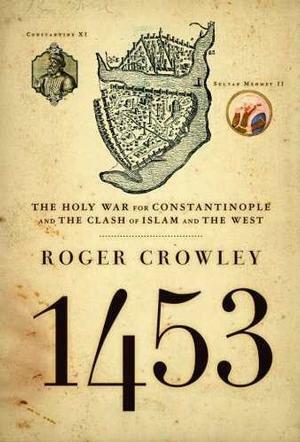 I certainly would have found such a description suspicious - until I read 1453 by Roger Crowley. The book's title, 1453, is the year when the 21-year old Sultan Mehmet II besieged the fortified capital of Byzantium, remnant of the long-since faded Roman Empire. Mehmet augmented clever military and political strategy with the latest high-tech weapons systems, namely huge bronze canon, up to 27 feet long and 30 inches in diameter, which fired half-ton boulders over a mile. It was history's first artillery bombardment. The story has twists and turns, colorful characters, intense religious superstition and even a volcanic eruption half a world away. These events were well documented by contemporary writers who witnessed both sides of the fight, although it should come as no surprise that later historians muddied the facts. Crowley's book, amazingly, is totally footnote-free. If you want, you can look up sources in an appendix using the incipit of quotes. 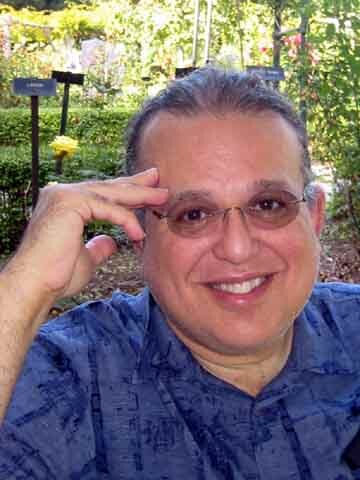 He occasionally suggests that certain writers might have had reason to shade the truth and isn't afraid to speculate on questions history hasn't answered. The outcome of the story is never in doubt: Mehmet wins, the city falls. Thanks to careful narrative practice and exceptional descriptive writing Crowley keeps things moving. I was completely caught up in it. Here is a quote from near the end of 1453 which describes European reaction to the devastating news that Constantinople had fallen. 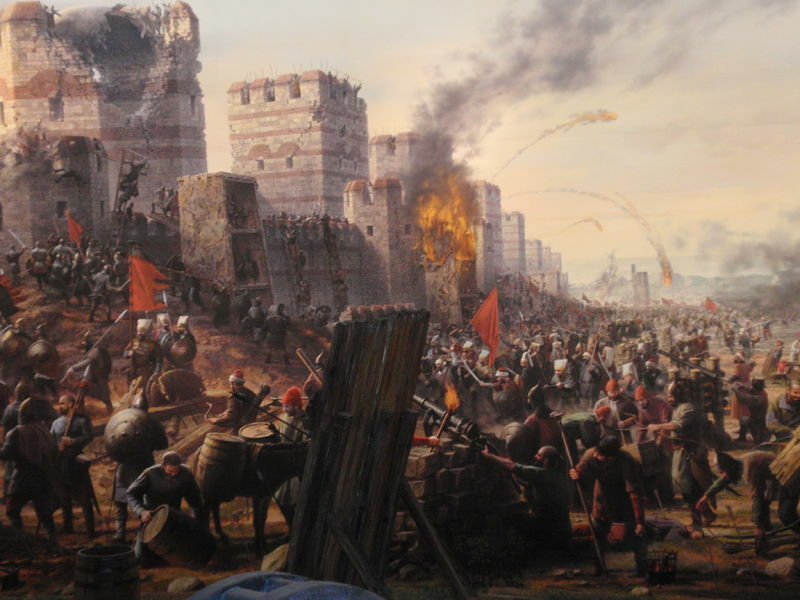 If there is any moment at which it is possible to recognize a modern sensibility in a medieval event, it is here in the account of reactions to the news of the fall of Constantinople. Like the assassination of Kennedy or 9/11 it is clear that people throughout Europe could remember exactly where they were when they first heard the news. ... The news radiated outward across Europe as fast as a ship could sail, a horse could ride, a song could be sung. It spread outward from Italy to France, Spain, Portugal, the Low Countries, Serbia, Hungary, Poland, and beyond. ... The diplomatic channels between the courts of Europe hummed with news and warnings and ideas for projected Crusades. Across the Christian world there was a huge outpouring of letters, chronicles, histories, prophecies, songs, laments, and sermons translated into all the languages of the Faith, from Serbian to French, from Armenian to English. The tale of Constantinople was heard not just in palaces and castles but also at crossroads, market squares, and inns. It reached the farthest corners of Europe and the humblest people: in due course even the Lutheran prayer book in Iceland would beg God's salvation from "the cunning of the Pope and the terror of the Turk." It was just the start of a huge renewal of anti-Islamic sentiment. This is not the first book related to medieval history which Mixed Meters has reviewed. "Francesco's personality shines through all this too. He was a man I would probably not like. A micro-manager who ignored advice, who wanted only the most expensive stuff just because it cost more, who adhered uncritically to the superstitions of his day and who seemed to enjoy nothing much beyond his work." The Merchant of Prato is also mentioned in In Which Using Your Head Has A Medieval Meaning about certain bizarre forms of entertainment of the time. "In all this I find parallels to our time. Religous belief in "what is written" makes people do strange things now, too. Eco reminds us that history is what the historians say. Is telling history the same as telling the truth? These days people who disagree with our accepted story are regarded with suspicion." The painting came from here. Sounds great. I would buy a copy for my vacation if they had a Kindle version. Thank you for an interesting review of what must be a terrific book. I wonder, however, how appropriate it is to characterize the fall of Constantinople as a story of "Fanatical Muslims" and "Fanatical Christians." The Byzantines, at any rate, were just trying, in vain, to keep from being swallowed up. Christian Europe was justifiably alarmed by the event; the Ottoman Empire would remain a potent threat to Eastern Europe for centuries to come, to a degree that is in no way comparable to the present day, when Islamic terrorists and rogue governments can do much harm, but will not likely be conquering any European capitals. Thanks for your comment Craig. I think my reference to fanatics applies to "the unending cultural conflict" -- by which I mean the one that's been easy to find in our news media nearly every day during my entire life time. It is my opinion that the conflict is irresolvable. And I lay the blame on the uncompromising and extreme religious views all around (Muslim, Christian and Jewish too). Yes, it's true that no Western capitals seem likely to be overrun by heathen hordes in the near future. On the other hand, the last time an Arab capital was conquered by a massed Christian army was in 2003.